Bond's debut is a dated but highly entertaining classic. The James Bond franchise is the fourth-most lucrative media empire in the history of the world, and with damn good reason. Almost 60 years after the movie series first kicked off, James Bond remains more popular than ever, with a renewed box office appeal in the wake of the Daniel Craig-starring reboot, and especially the release of 2012's billion-dollar hit Skyfall. As part of a new weekly series, we're going to rewatch the Bond franchise in order from the very beginning, and it starts now with 1962's spy classic, Dr. No, directed by three-time Bond helmer Terence Young. 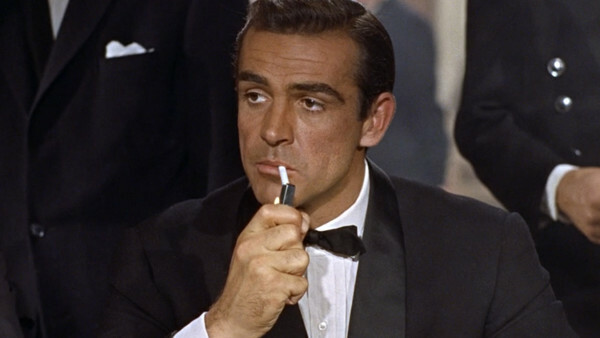 Adapted from Ian Fleming's 1958 novel of the same name, Dr. No brought Bond well and truly into the mainstream, grossing an insane $59.5 million against a mere $1 million budget and kick-starting a near-six-decade run of hit spy thriller movies. Though almost universally deemed a high-point of the Bond canon, revisiting Dr. No with a contemporary pair of eyes does highlight not only its strengths but also those elements that haven't aged quite so gracefully. It's to be expected, of course, but viewing the movie under A modern lens is a distinctly different experience.